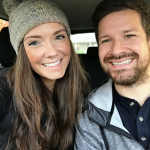 Last Updated: September 5, 2018 By Katie 8 Comments -- Paid Promotion. Disclosure policy here. I LOVE snacking. It’s one of my favorite things to do (and something I do well, I must say). 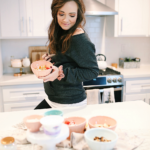 If I’m not eating something every few hours, this mama gets HANGRY. 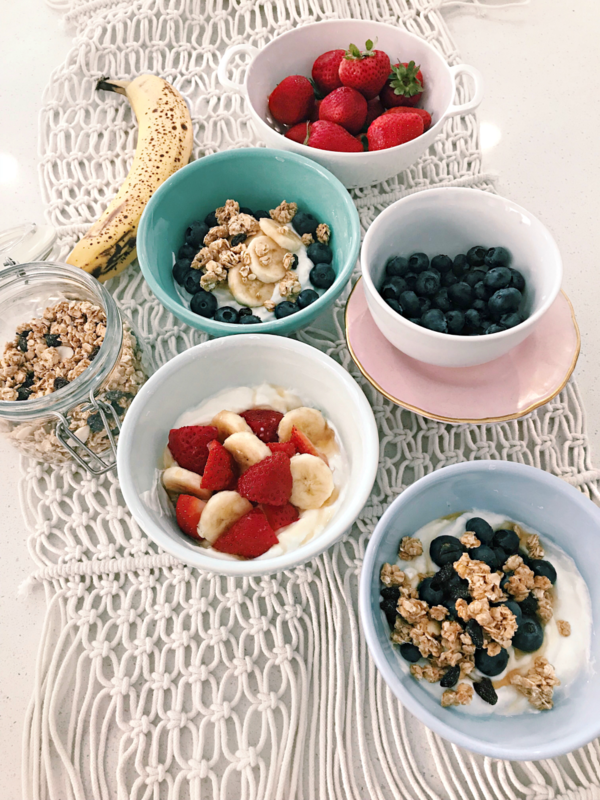 So I’d say I have quite the repertoire of healthy and delicious snacks, one of my very favorite, and most often consumed, is a yogurt bowl! 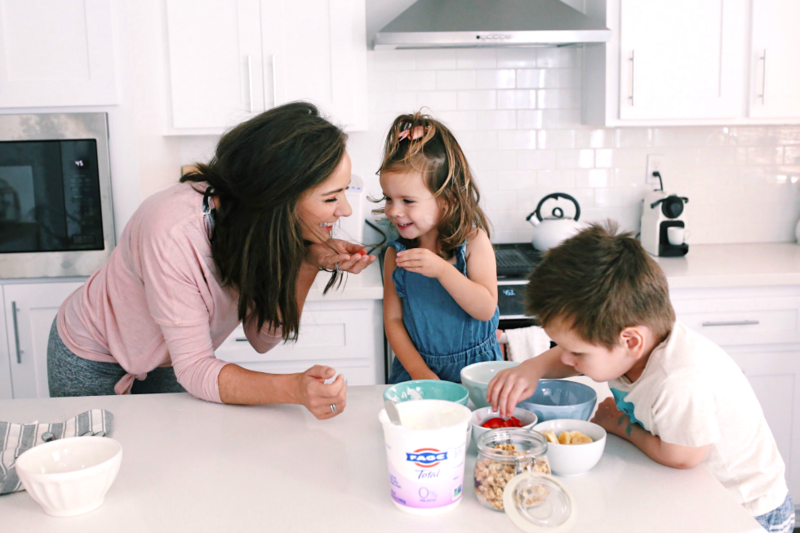 It’s easy, quick, delicious, healthy and FUN to create, and something my kids love too. 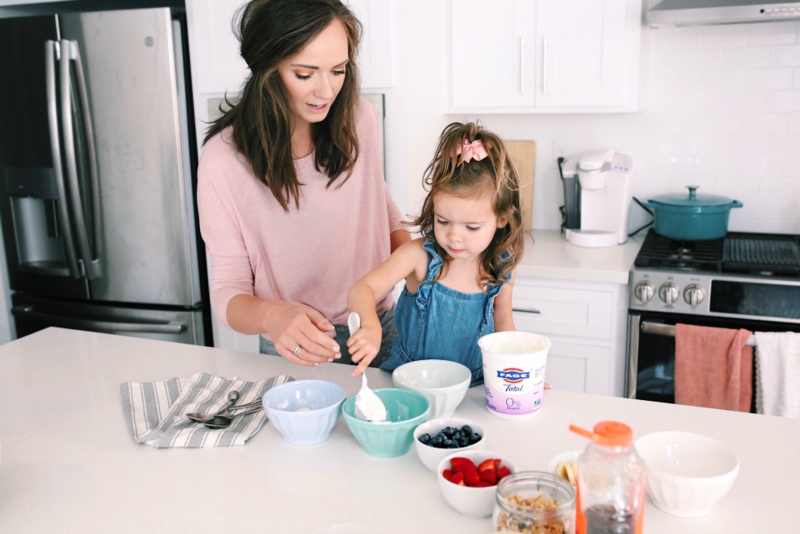 Now that Sam is back in school, it makes for the perfect after-school snack (for all of us)! 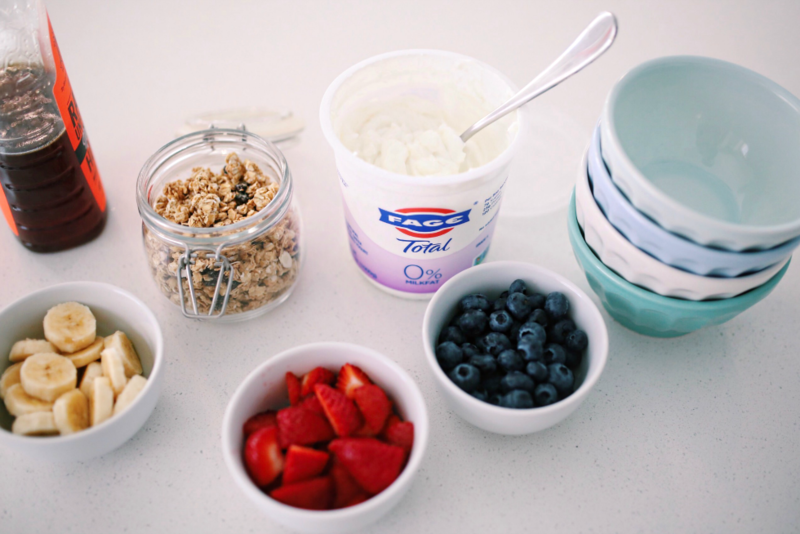 I love to mix some FAGE Total 0% Greek Yogurt with a variety of toppings- fresh fruit, granola, nuts and honey are some of our favorites. I thought I’d share a few of our favorite combinations with you today, so you can enjoy this deliciousness, too! 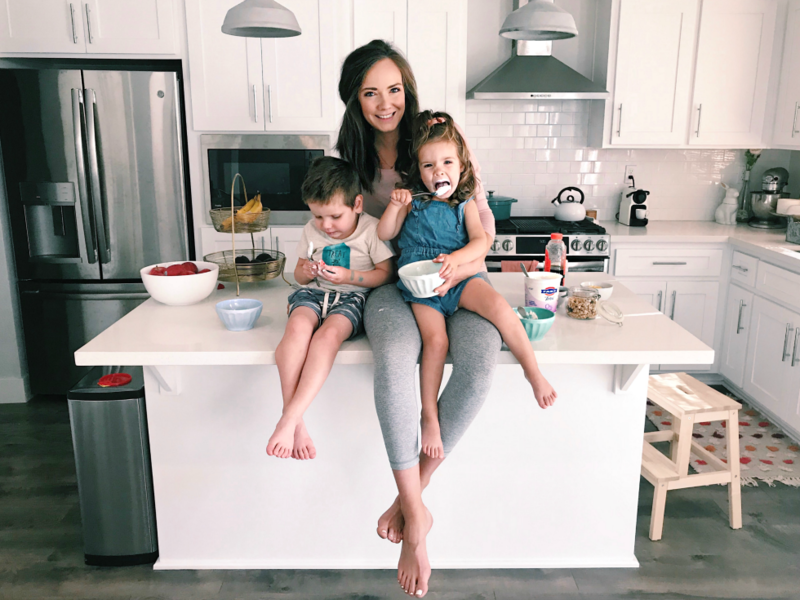 It’s simple, you can use whatever ingredients you have in your house already, and it’s a fun activity the whole family can get involved in! 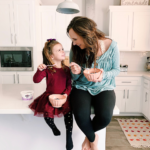 We love FAGE (store locater here!) because it’s Non-GMO Project Verified, no added sugar, protein-rich and a good source of calcium! I can feel good about eating it and also giving it to my kids. Plus, they honestly like it more than ice cream. Win win. These make for the perfect after-school snack, or a healthy dessert option! I wanna know what your favorite yogurt toppings are! Always taking ideas over here. These look so yummy! 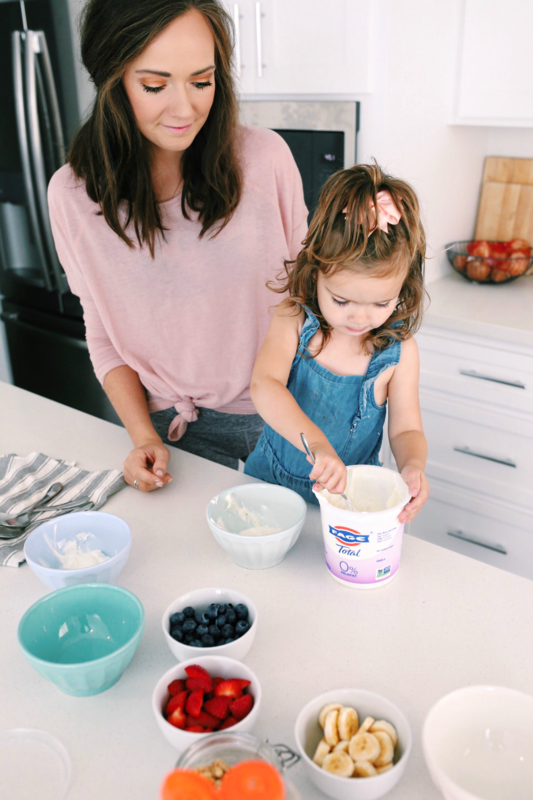 Fage is my favorite yogurt – love it for breakfast in the morning with just a bit of honey and fruit. Also love how versatile it is – used it last night to make a cilantro lime sauce for tacos – I was practically eating it by the spoonful! Yes!!! Honey in yogurt is my new favorite thing! Ha. Soooo good! And I totally use it in place of sour cream- tastes EXACTLY the same! 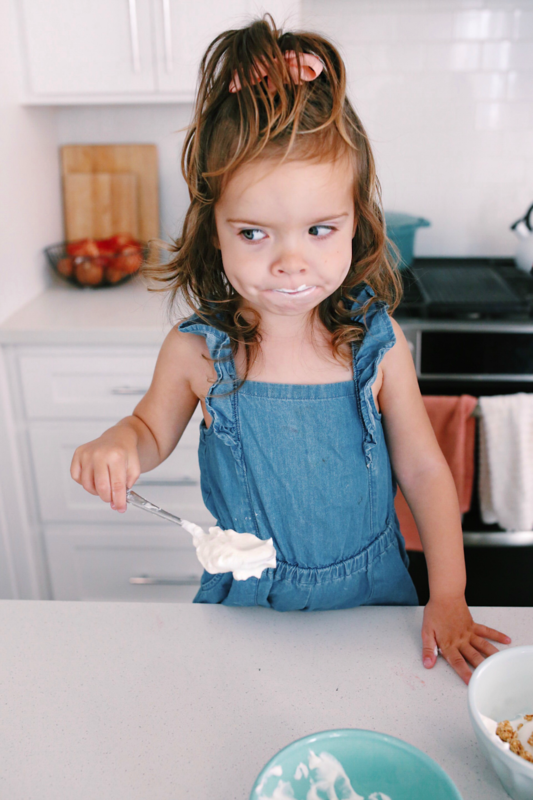 We have been doing lots of build your own yogurt bowls the last couple months. Our current favorite is piling on the fresh peaches! Yummmmm I love peaches!! Soooo good. Also, totally unrelated and I know you’ve answered this before but I can’t remember…what eye shadow are you wearing? OMG I AM SO TRYING THIS. That sounds incredible!!! And super easy! And blueberries are my kid’s favorite food so we ALWAYS have some!